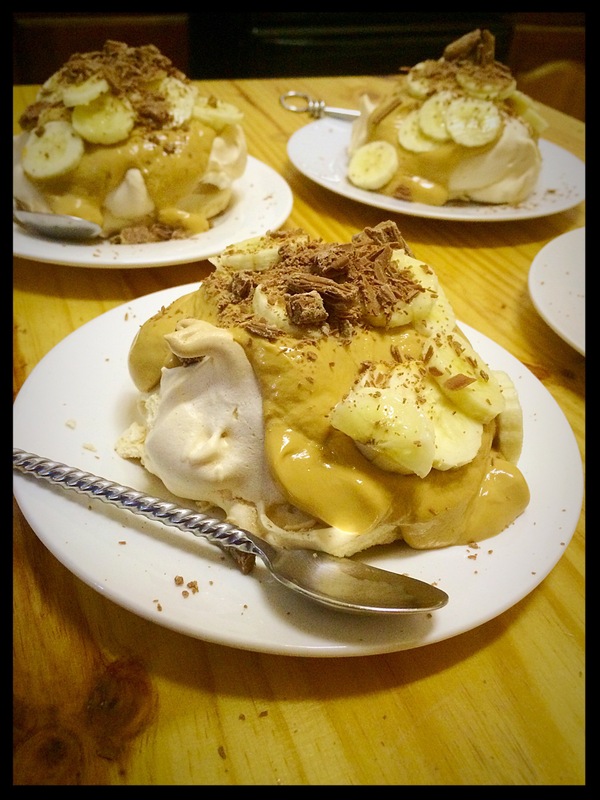 This is sort of a combination of meringue and a basic pavlova. It’s best to make these the day before you intend on serving them. Put 4 egg whites in glass mixing bowel. Remember there must be no egg yellow, not even a little bit. Beat the eggs until you are able to form peaks. 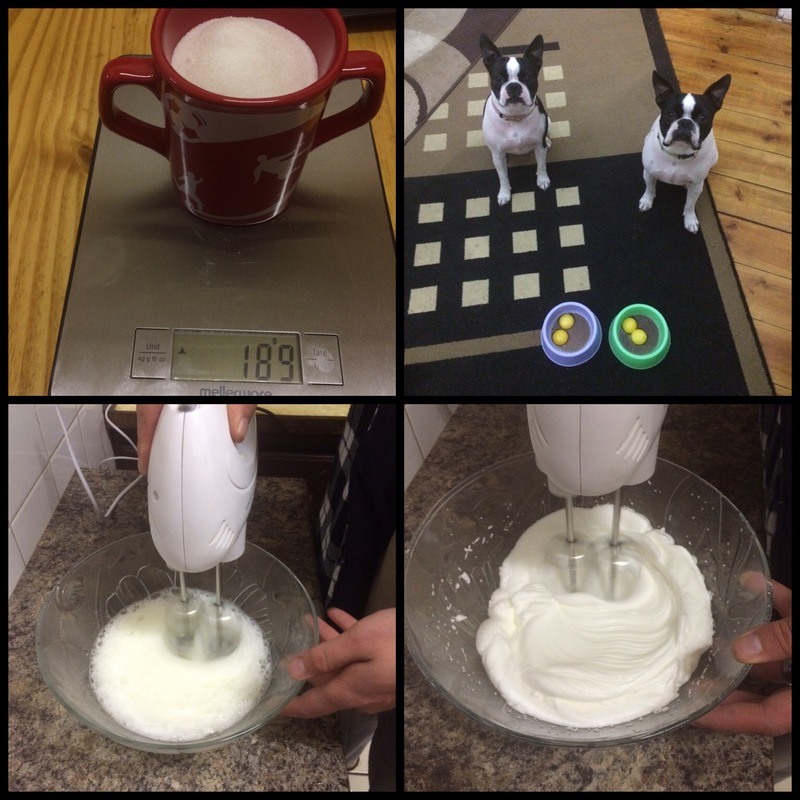 Mix the maizena with the castor sugar and add bit by bit to the egg whites while still beating with the electric mixer. Mix in the vanilla essence with a spoon. Spoon mixture into prepared oven tray. This should be enough for 6 large meringues. Preheat oven and bake at 140-150 degrees Celsius for about an hour and a half. 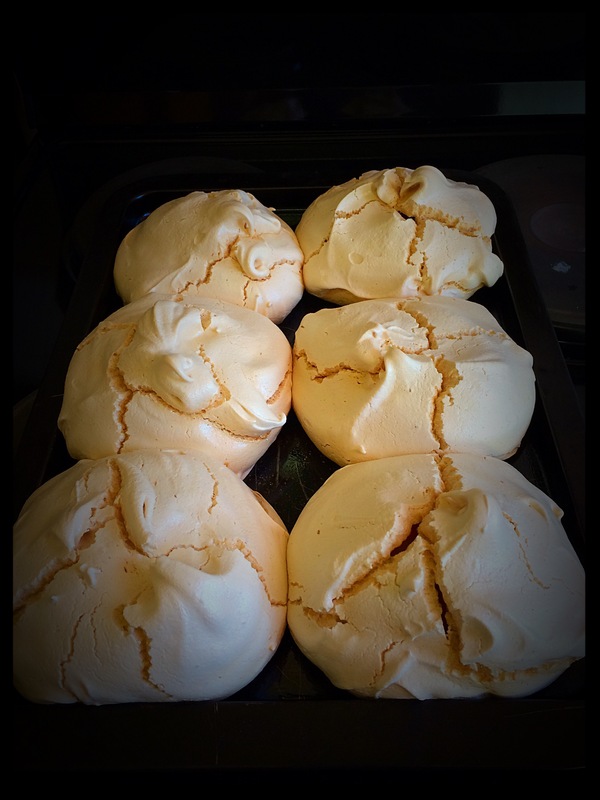 Then turn the oven off and leave meringues in the oven until the oven has completely cooled down. 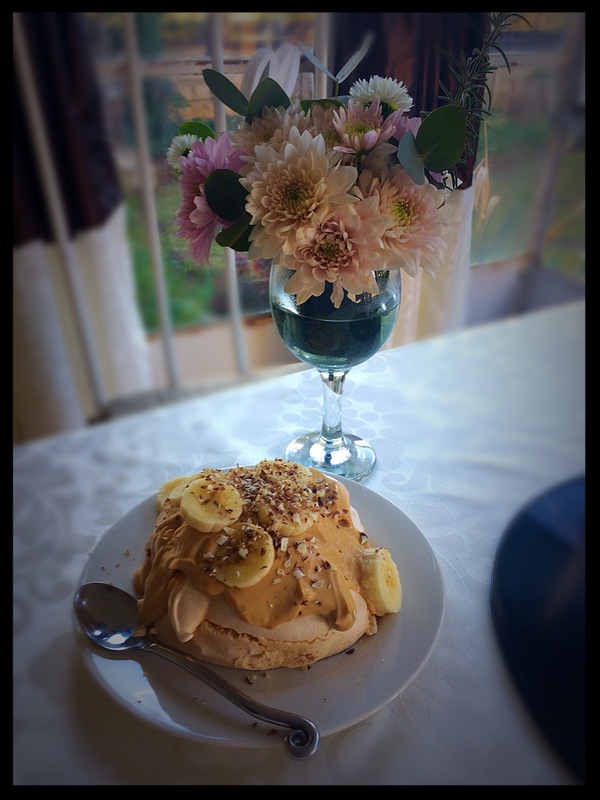 Just before serving put a blob of yummy caramel yoghurt on each meringue, some banana slices and sprinkle with the grated chocolate. Delicious and relatively healthy as far as puddings go. This entry was posted in Desserts & Shooters, Food, Thoughts and tagged meringues, pavlova meringues, pudding. Bookmark the permalink.